This off-road walking and cycling trail is 46km long and stretches along the former Great Southern and Western railway line. Guided tours explore Waterford’s history, including the stories of the railways in the county. Along the way, cyclists and walkers will find the Viking city, the Durrow 7-arch Viaduct, the Kilmacthomas 8-arch stone viaduct, the Ballyvoyle brick-lined tunnel and views of Dungarvan Bay and the River Suir. Amenities: There is a free shuttle bus along the Greenway and guided tours can be booked online. There are toilet facilities and cafés along the way and all routes are fully wheelchair accessible. Dogs are also welcome once kept on a short lead. Opening hours and costs: The greenway is open daily and mountain, road or electric bikes for adults and children as well as trailers are available for hire from €20 per day. Waterford was founded in 914 by Vikings and the Viking Triangle celebrates its 1100-year history through local museums and tours. Museums within the Triangle include Reginald’s Tower which was built in the 13th century. Until about 1700, the tower was the strongpoint of the medieval defensive walls that enclosed the city. Visitors can experience the King of the Vikings virtual reality and visit the largest replica viking sword in Ireland. Amenities: There is wheelchair access to the ground floor only and there is parking, toilets and cafés nearby. Opening hours and costs: Entry for adults is priced at €5, child/student is €3, family €13 and senior/group is €4. Edmund Spenser, the English poet, is said to have written his famous epic poem The Faerie Queen in the Lismore Castle Gardens. The lower garden was mostly created in the 19th century for the Duke of Devonshire, Sir Joseph Paxton’s patron. Annually a summer festival takes place to celebrate the gardens of Waterford and includes a variety of events organised by garden owners. Amenities: There is an art gallery on site, toilets as well as free parking. Wheelchair access is available on prior request. Opening hours and costs: The site is opening daily from 10.30am-4.30pm. Tickets are priced at €8 per adults, children €5 and family rates of €20. This stretch of rugged volcanic coastline lies between Tramore and Dungarvan and gets its name from its history of copper mining in the 19th century. The outdoor museum of geological records tell how volcanoes, oceans, deserts and ice sheets all combined to create the rocks which are the foundation of the landscape. This is a self-guided tour that explores archaeology and heritage and there is a visitor centre with an exhibition in a restored 19th-century miners church. Amenities: There is complete access to wheelchair users and plenty of toilet facilities. There is a café and craft shop There is a public transport service operating between Tramore and Dungarvan on Thursday and Saturday. Opening hours and costs: The geopark is open to the public every day except Tuesdays from 11am-5pm. Entry costs €3.50 but concession prices for families are available. 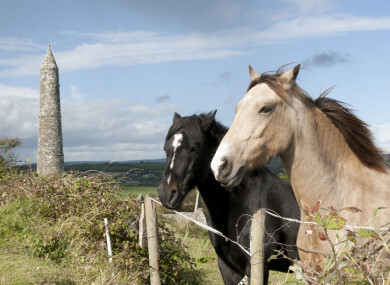 St Declan came across the village of Ardmore and founded a monastery in the fifth century. Inside the early monastery there are two ogham stones and on the Cathedral outer walls, stone carvings show depictions of Adam and Eve in the garden of Eden. There is also a cliff walk here that provides full views of St Declan’s well and stone, Ardmore Bay and a watchtower and lookout dating back to World War II. Amenities: There is wheelchair access and limited on-road parking. Opening hours and costs: The site is unmanned and open daily FREE of charge. Thanks to Waterford City and County Council heritage officer Bernadette Guest for her recommendations. TOMORROW: Top 5 must-sees in Wexford and Wicklow. Email “Your summer in Ireland: 5 must-see sites in Waterford”. Feedback on “Your summer in Ireland: 5 must-see sites in Waterford”.